This system has been designed to meet the needs of everyone looking to improve balance, increase agility, develop muscle tone and treat a wide variety of pathologies. It is also an excellent tool in the growing field of Fall Prevention. Featuring four test protocols, six training modes and intuitive "touch-screen" operation, the Balance System SD™ allows testing and training in both static and dynamic formats. Extremely versatile, it is the only system that provides fast, accurate Fall Screening and Conditioning for older adults plus closed-chain, weight-bearing assessment and training for lower extremity patients. Using this unique device, clinicians can assess neuromuscular control by quantifying the ability to maintain dynamic bilateral and unilateral postural stability on a static or unstable surface. 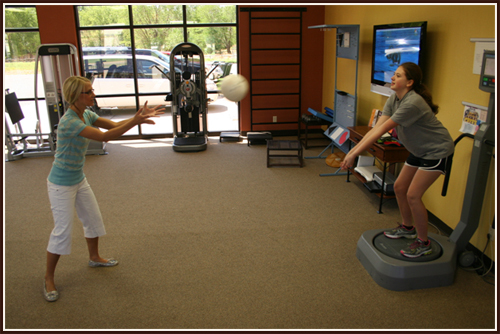 Use any of four test protocols including fall risk, athletic single leg stability, limits of stability and postural stability.The Balance System SD also serves as a valuable training device to enhance kinesthetic abilities that may provide some degree of compensation for impaired proprioceptive reflex mechanisms following injury. An easy-to-follow touch-screen format makes the system simple to learn and operate, leading the user step-by-step through testing protocols and training modes.